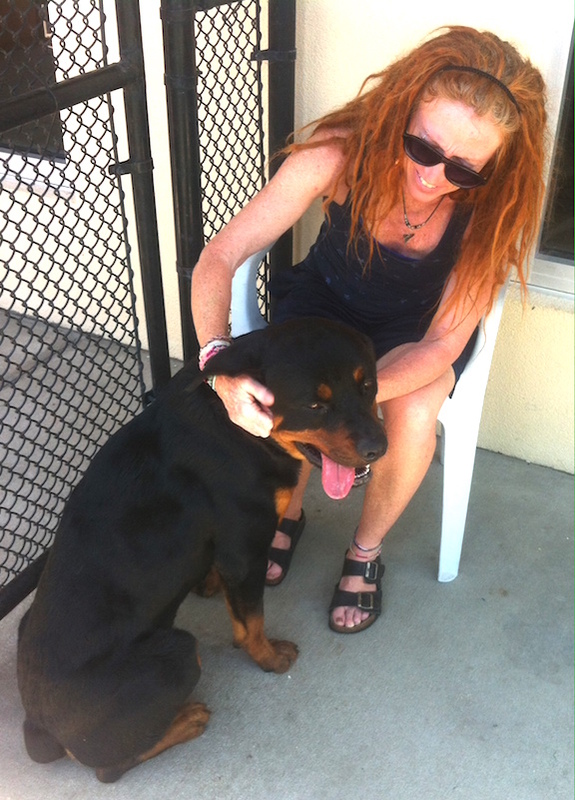 Rottie was at Pasco County Animal Shelter. 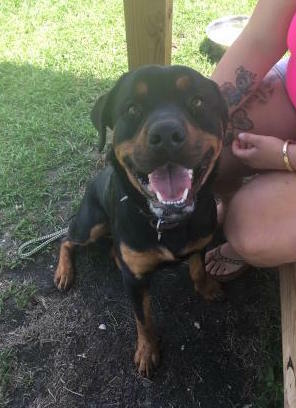 He is a 2-3 year old neutered male. Staff says that he is a sweetie. 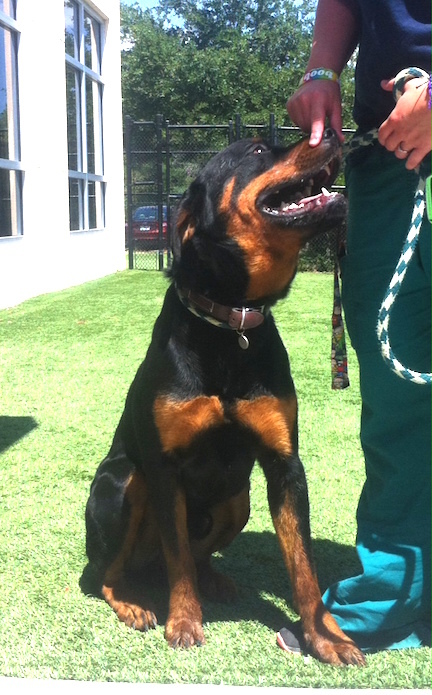 When I went up to the kennel, he was amusing himself by playing with a Kong. He would toss it in the air and then catch it. He leashed easily on a slip lead for the staff member. He sat nicely for some pics and petting. When he was off lead he walked around a little and when I sat in a chair, he immediately came over, sat at my feet and put his head in my lap. He allowed all handling and allowed us to look at his teeth. He was nonreactive when another dog approached the yard from the other side of the fence. 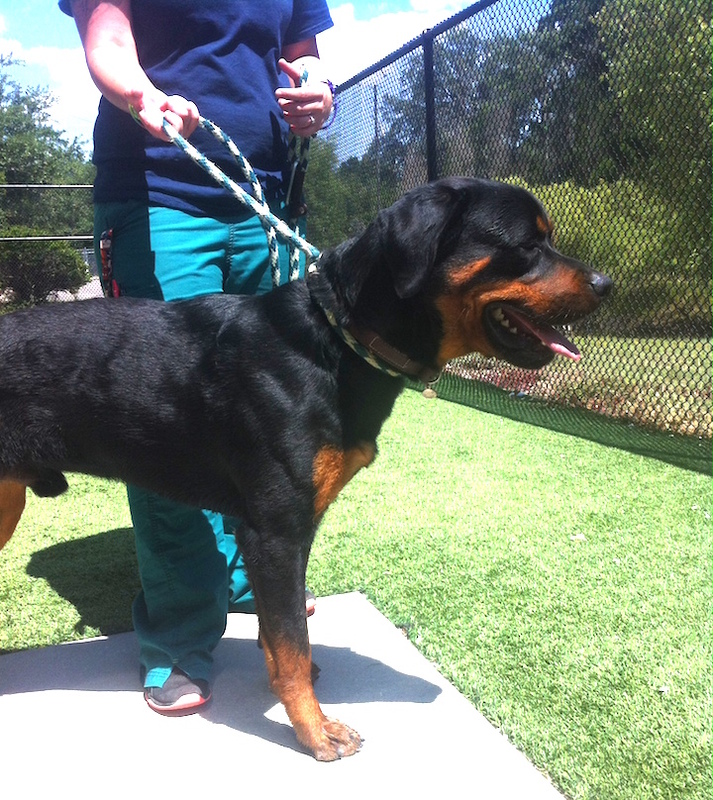 He appears healthy with no gait issues, skin issues or obvious issues. He is HW negative. Very, very sweet. If interested in adopting Hugo, please fill out an online adoption application.